Decided to take a small break, since I'm all caught up on custom artwork, and just paint something beautiful for the delight of it! 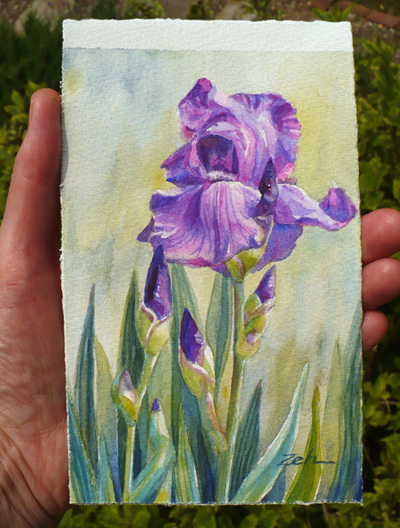 The irises in my garden are all spent, so it's a good thing I took some pictures while they were gorgeous. 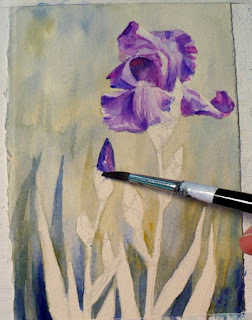 I got out a small piece of watercolor paper and got to work. Since the flower is a somewhat dark color, I painted the background with very pale washes of blue and yellow (which blended together make green). To create the illusion of sunlight striking the flower, I made sure to leave some white areas on the blossom and buds. The leaves are painted with a mix of Winsor Blue, Cadmium Yellow and French Ultramarine Blue. The painting was originally meant to be 7x5 inches, but when it was done, it looked like there were too many leaves. So I cropped it to 6x4 inches and now it's perfect! "Purple Iris" is sold. 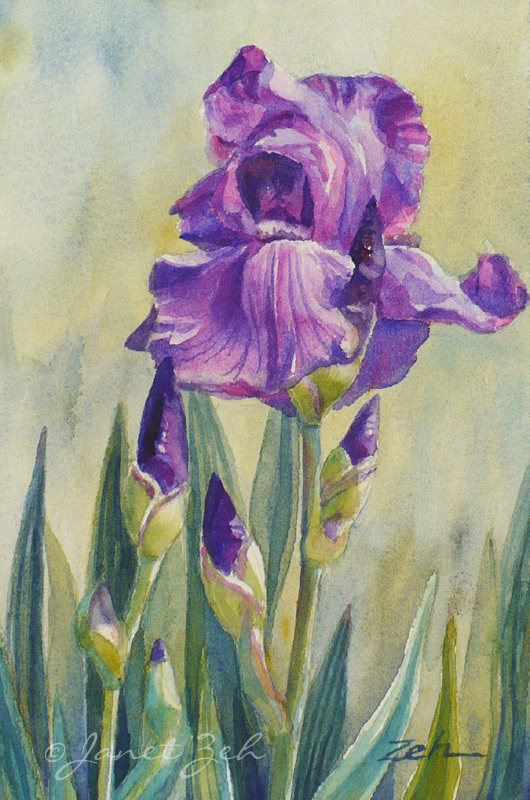 See more of my flower paintings in my Original Art Shop here.